On offer from us is a premium variety of Keyboard Stands in silver gray finish. These stands are procured from trusted manufacturers with an assurance of topnotch quality. 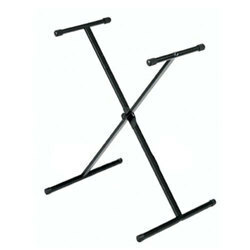 Known for their adjustable, durable, compact and lightweight nature, these stands are highly portable and are thus, widely preferred by the musicians. We bring forth our vast industrial experience and expertise in this business, involved in providing Keyboard Stand. 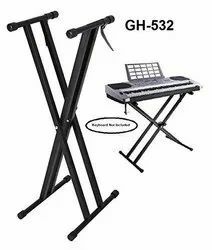 The keyboard stand is a comfortable, sturdy and portable. It is equipped with a safety locking mechanism for the height adjustment. Simply place the keyboard on top of the stand and the rubber grips hold it in place to prevent slipping. Ideal for home and stage.